Everything that exists in this world has an expiry date. Unfortunately, there’s no way to sugar coat that fact. There is, however, an upside. Because of the limited span of time everyone has, every moment is considered precious and is treasured and celebrated. This is the reason for taking note of every milestone people encounter. Anniversaries, whether personal or commercial, are no exception to this. For these moments, we have for you 9+ beautiful anniversary greetings to make someone feel especially special. So enjoy every moment, celebrate every significant–or even the not-so-significant–events in your life and share it with others with these Free Greetings. 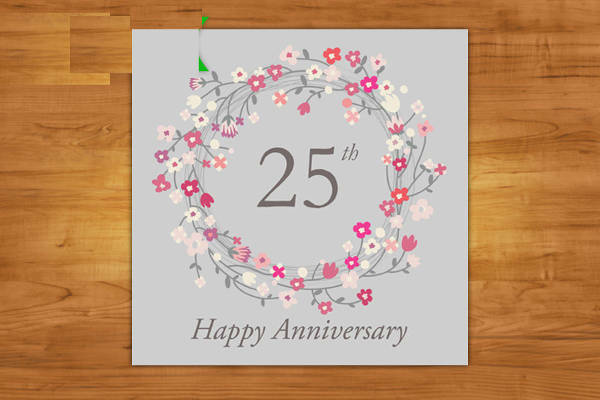 We have in our list different Anniversary Card designs for you to choose from. 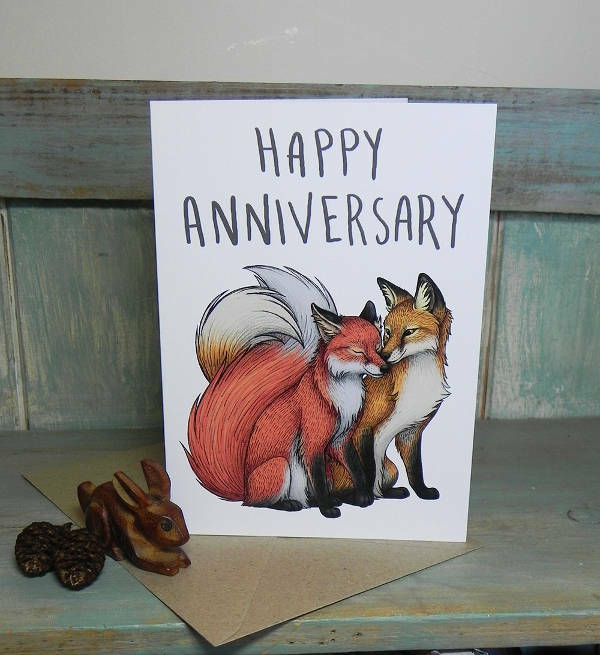 If the people your greeting cards are meant for has an affinity for animals (specifically foxes, penguins and toucans), then don’t hesitate in giving them one from the following: “Animal Anniversary Greeting”, “Fox Couple Anniversary Greeting” and “Love Anniversary Greeting”. 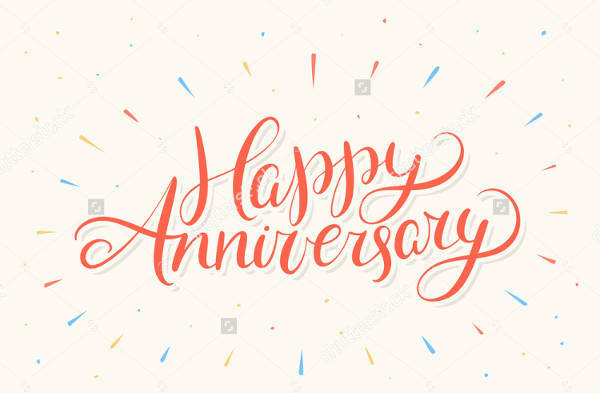 There’s nothing wrong with opting for the simpler and more straight forward greeting cards with nothing more than the words “Happy Anniversary” on it. 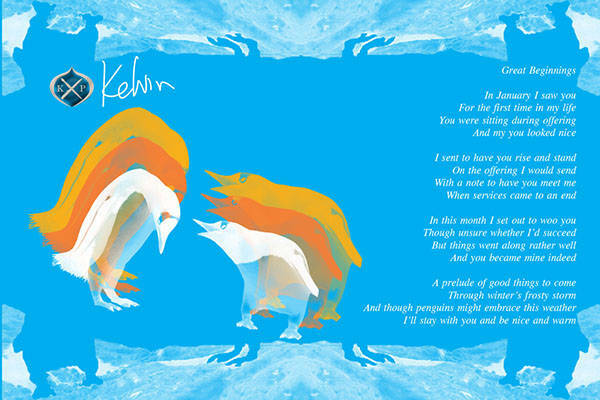 As long as the text is complemented by well-designed backgrounds, the receiver will definitely appreciate the sentiment. 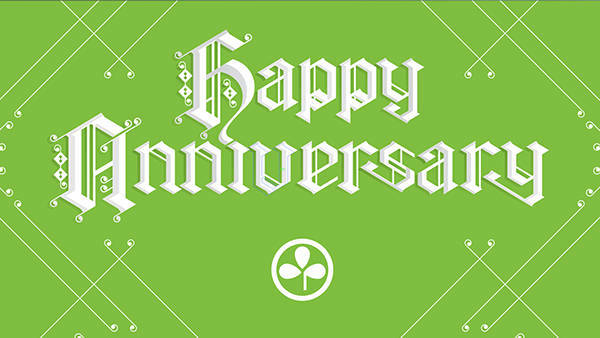 Is the anniversary greeting meant for a couple who bond over the craziest puns? Tickle their funny bone and present them with the cute and pun-filled card that is “Love Anniversary Greeting”. They will definitely be grateful for the giggles that will ensue upon perusal. Flowers are a staple for any celebration. 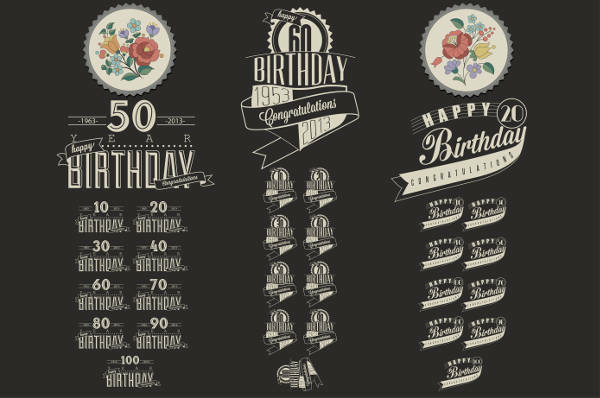 Go for the classic with “25th Anniversary Greeting” and “Birthday Anniversary Greeting” if you want to stick with more traditional themes. For the birthday celebrants, present them with these Free Birthday Greetings on their special day. You’ve probably already heard it said that our designs are versatile and can be turned into more than just anniversary Greeting Cards. Here are a few ideas to help you figure out what else you can do with these designs so your downloads don’t go to waste. In this digital age, you’d think that scrapbooks and the like are mere objects of the past. However, because people still have the tendency to prefer objects that they can hold onto, there is still a demand for these types of materials. Save yourself a penny or two by printing out these designs and cutting them up for your very own scrapbook. Birthdays and anniversaries aren’t the only events that people celebrate. Give your valentine one of these cards along with a few flowers or chocolates for hearts season. Or use the more festive designs for a non-conventional Christmas greeting. Because of their editable nature, it’s possible for you to tweak these designs more than just a little bit. You can make it a little bigger, move objects around or add a few other elements. 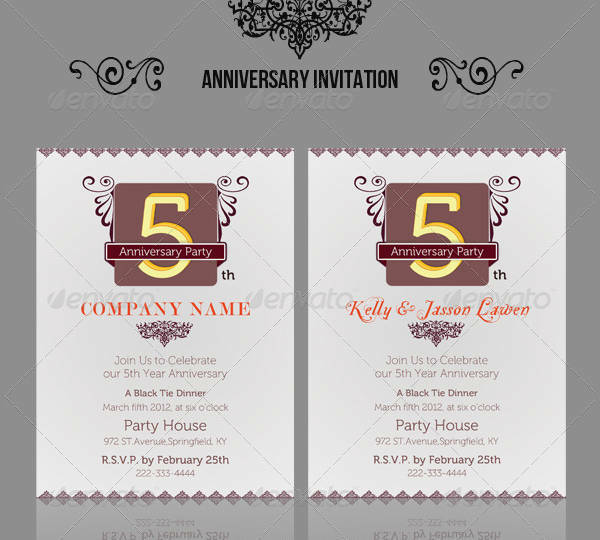 Type in the details for your event and–voila!–you’ve created an invitation card.